Wow what everyone says about taking a Functional Threshold Power (FTP) test is true, they are brutal! Brought back flash backs to college cross country you know those moments when you are doubled over, sweat pouring, stomach cramping, legs on fire, want to die moments? Yep that was how yesterday finished! This will be the first year that I've incorporated power into my training and I am excited about the extra structure it will bring to my bike workouts, maybe I'll even learn to like the trainer.... For those of you that are unsure what your FTP number is and how it is utilized; it is a number that represents your ability to sustain the highest possible power output over about a 60 minute time period. You can then take that number and use it to structure your workouts in order to improve your overall fitness, power on the bike, and efficiency on the bike. This is what I am excited for as I know that in order to do well at Kona I have some serious work to do on the bike; one of goals for this year is to be able to replicate my Ironman Arizona bike split (to an extent) on any course. 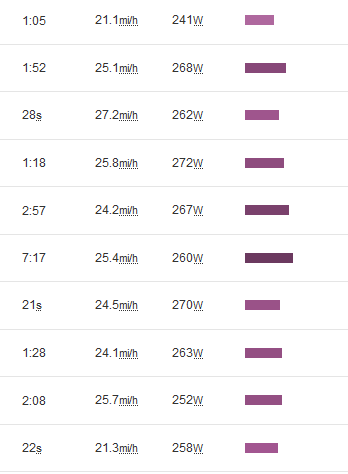 It may sound silly but I was nervous to do a FTP test, in my own home, with no one watching, and only myself in charge of the results... yes it sounds a bit nuts. While I knew it was going to be a challenge what really made me nervous was not knowing where my fitness was at this time. Yes, the point of the FTP test is to determine that baseline and work upwards from there to improve but the masochistic bit of me was like if you don't kill this does that mean that Ironman Arizona was just a fluke? If I don't perform well on this test will everyone question whether I actually deserved my bike time at Arizona. Silly, I am aware but those are the thoughts that all of us who strive to be the best at what we do tend to have or maybe that's just me. Anyways, I used the Zwift FTP program to structure my ride. It started with a 20 minute warm up then moved into 20 minutes of different lengths of increased watt bursts to get the legs moving quickly. The whole time I kept staring at that 20 minute marker that was coming up and thinking alright 20 minutes I'm coming for you!! I wasn't really sure what I was getting myself into for those twenty minutes but from talking with others and the research I did I knew you were supposed to push the limit to the extent where yes you want to die but that you can also maintain for a solid twenty minutes. So that's what I tried to do and holy sweating buckets, legs burning, and lungs on fire awesomeness! 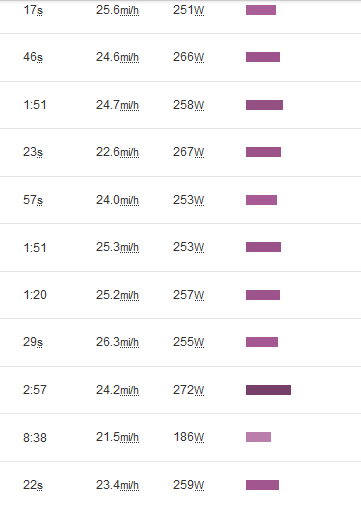 Below are my watts as transferred over to Strava from Zwift. Anyone else feel like they were competing with the computer during their test? It kept calculating my average as the minutes clicked by and I found myself constantly trying to beat the computer. I may have issues... Surprisingly the twenty minutes went fairly quickly even the last ten minutes when my legs and lungs just wanted to stop. Now that its over whats next? As I mentioned earlier I am looking forward to the structure that can come with training with power. After Ironman Arizona I decided it was time to figure out how to replicate that race at any venue. I know to do that I can't just "ride" the trainer I need to have structured workouts behind it. While I don't have a race on the schedule until June (CdA 70.3) I am beginning a base training plan as of today. I am trying to prevent having to feel as I have to cram all my training into a short amount of time by having a good base in me. Happy New Years Everyone and Happy Training to those who are starting! !